Naxos, the Greek island, has more than 30 villages across the island. Today some of them are uninhabited or may have very few inhabitants mostly of the older generation. However, some others may have a population of up to 2000 people with considerable numbers of children. Although until recently it was unknown to many tourists, many of these villages have become major tourist attractions gathering a sizeable tourist population especially during the high season when they have several local festivals. The main income for the local population, before the rise of tourism, was derived from farming and animal husbandry both of which are quite highly developed. In the past, many of the villages used to have a leading financial role in the island's economy. Together with the fact that the majority of the island’s population lived in the villages and were, therefore, less centralized in Naxos town, led to their development which went on for many decades. The resulting economic prosperity of some villages is apparent today in their architecture and also in the fact that they have managed to maintain a sizeable population. The island is fertile and has plenty of water, even during the driest seasons. 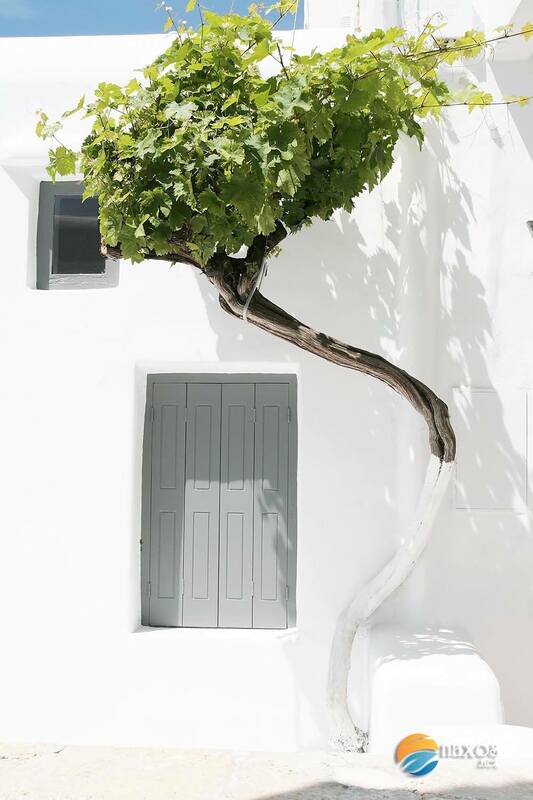 It is the greenest in the Cyclades, a fact which is attributed mount Zas, which touches 1000m of altitude, thereby creating the islands own climate. Strangely enough, in contrast to the fact that most of the Greek islands had and still have a respectable fishing industry, Naxos derived most of its foodstuffs form the land. Cattle breeding, dairy products, meat and meat derivatives potatoes and potato seeds, olive oil, wheat, many varieties of fruit and vegetables and of course emery were the main products, all of which were exported to various parts of Greece and some abroad. Water is a precious commodity on the islands and since Naxos produces plenty of it, it was and still is exported to other dryer islands of the Cycladic complex. Marble was an ancient commodity also exported from the island an had a decent trade going in ancient times, it still is, and as such comprises a main source of income for the inhabitants of stonemasons and the quarry industry of Naxos. Because mount Zas sits almost squarely in the centre of Naxos, most of the villages are mountainous, while a few are located next to fertile valleys and plains and the balance is on the shores. The end of the 2nd World War also signified the beginning of the migration from various parts of Greece to Athens or other major Greek cities as well as other countries abroad. It was during this period that the villages of Naxos, lost a large part of their population, as did other islands, all in search of a better life. During recent years, tourism has finally become the number one earner of the island followed by the traditional means of income. The expansion of tourist facilities of varying quality each vying for a share of the huge numbers that visit the island in search of a good time, has transformed Naxos to one of the major tourist attractions of the Cyclades. As a result, the island’s economy has shifted. The land along its coastline, unwanted real estate for many years especially by farmers, has increased its value significantly and has seen more construction than ever before. The good part is that construction is not as yet an eyesore and many pristine beaches are untouched. The tourist development has also reached the inland villages. One will be amazed to see the number of tourists driving the island's narrow roads on their way to visit as many villages as they can so they don’t miss anything. The highest percentage of these are very picturesque, boasting excellent local cuisine and lovely cafe with amazing views of the island and the sea if they are high on Zas or of the sea if they are a little lower down. Many of the local products and handcrafted goods are sold in small family owned shops whose owners may even be the producers of the goods, such as cheese for instance. The people are a friendly lot who are always willing to help and guide to the next destination. The main villages of Naxos are Apiranthos, Filoti, Glinado, Koronos and Vivlos (also called Tripodes). A tour of these villages will quickly reveal that it is by no means a sophisticated island in the tourist sense. It does, however, provide everything and more, necessary to make visitors very comfortable. Each of the villages mentioned has an individual charm, associated with its building types, views, festivities and activities. The view from Apiranthos, for example, is a real stunner! 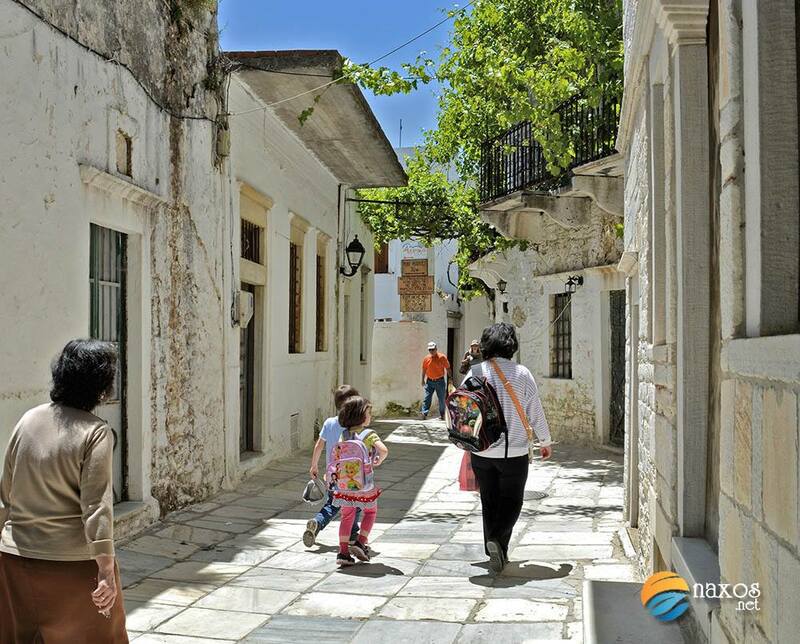 Explore all Naxos villages and discover the unique beauty each has to offer.